A new sole and an improved last gives this popular, updated Muck shoe more stability on wet surfaces along with an even greater level of comfort and fit. The Muckster II is the perfect shoe when it's wet and muddy, whether you're working on the farm, or working in the garden. One of Muck Boots most versatile styles, these boots have been updated with a new height and outsole pattern. The Muckster II is ideal for any chore or task where there is mud, slush or rain. Easy to slip-on and quick to kick off. 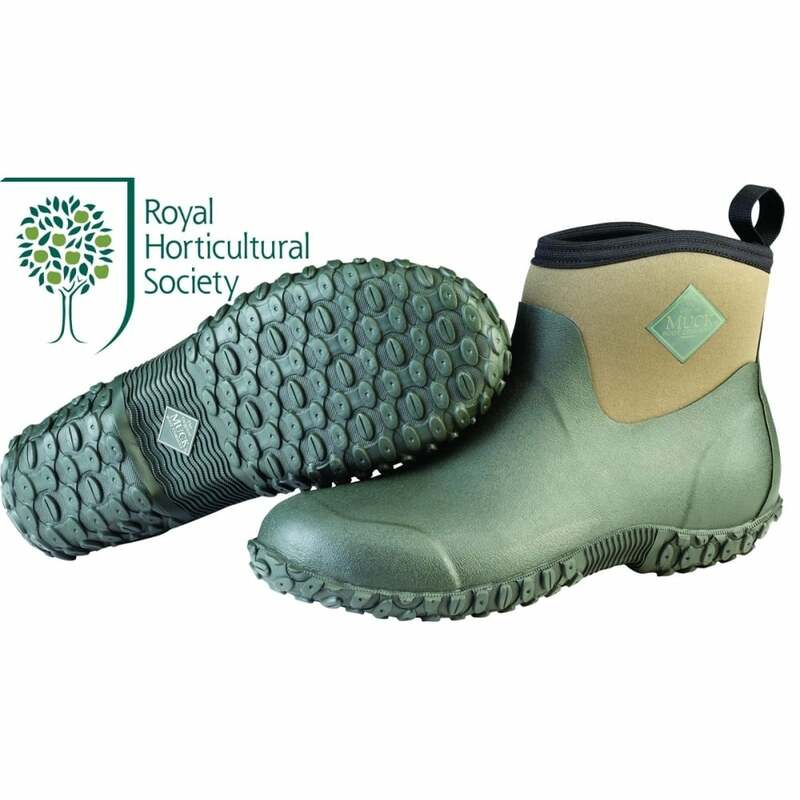 This is a great "leave by the back door" boot, as they are at home on the farm and perfect for wearing around the garden. But best of all, they feature 4mm CR Flex-foam and the traditional Muck Airmesh lining. Slip them on and you will always feel dry and comfortable!